We would like to issue a warm welcome to the new mentees and mentors on the Picture Hooks 2017 mentoring scheme. We are delighted to begin the new year with such a talented group of illustrators, and very much look forward to seeing the work that they produce. 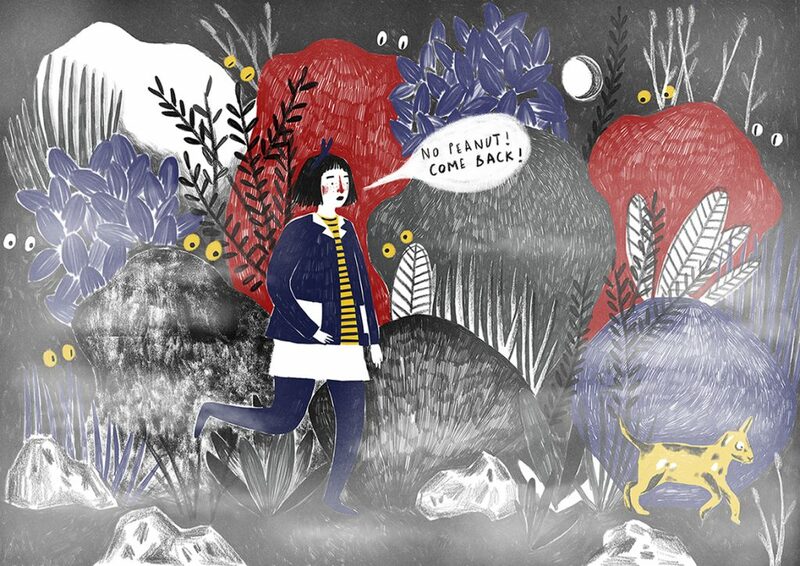 Kirsti Beautyman is a Newcastle-based illustrator who graduated from Edinburgh College for Art last year. The Edinburgh arts festival Hidden Door recently announced that Kirsti will be their chosen illustrator for their 2017 poster design. She will be mentored by Helen Stephens, writer and illustrator of How to Hide A Lion (winner of the Prix Livrentete, nominated for the Kate Greenaway Medal and the Redhouse Book Awards, and adapted for the stage by The Polka Theatre). Hazel Dunn graduated from the Glasgow School of Art in 2014, and is currently a textile designer with Collect Scotland. 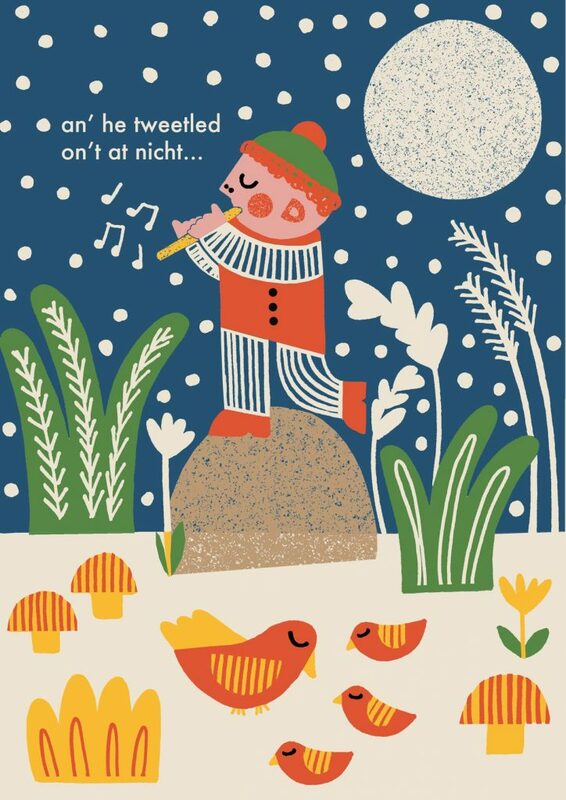 She has been paired with Patrick Benson, illustrator for scores of acclaimed books including Martin Waddell’s Owl Babies and Roald Dahl’s The Minpins. He has also previously won the Mother Goose Award, the Christopher Award, and the Kurt Maschler Award. This is the first time that we have opened up our mentoring scheme to illustrators from outside of Scotland, and it has been great to connect with talent from around the world. Anders Frang is from Denmark and graduated from the Danish Design School in 2015. He was previously commissioned to illustrate a picture book version of The Nightingale, and will keep developing this craft under direction from Steve Antony. Antony is the writer and illustrator of the popular picture book Please Mr Panda, which was nominated ‘Picture Book of the Week’ in The Times and ‘Picture Book of the Month’ in Barnes & Noble. Hlin Davidsdottir is an Iceland-born graduate from the Edinburgh College of Art who currently specialises in 2D animation. She will be paired with Ross Collins, whose picture book There’s A Bear in My Chair was shortlisted for the inaugural Bookbug Picture Book Award 2017 and won Amnesty’s CILIP Honour for the Kate Greenaway medal shortlist. Rachel Everitt graduated from the Edinburgh College of Art in 1999, and has continued to tutor part time in the Animation department. She has produced several animation films for children, some of which went on to win the Engage Scotland Visual Arts Education Award for Improving Mental Health and Well-being in 2005. 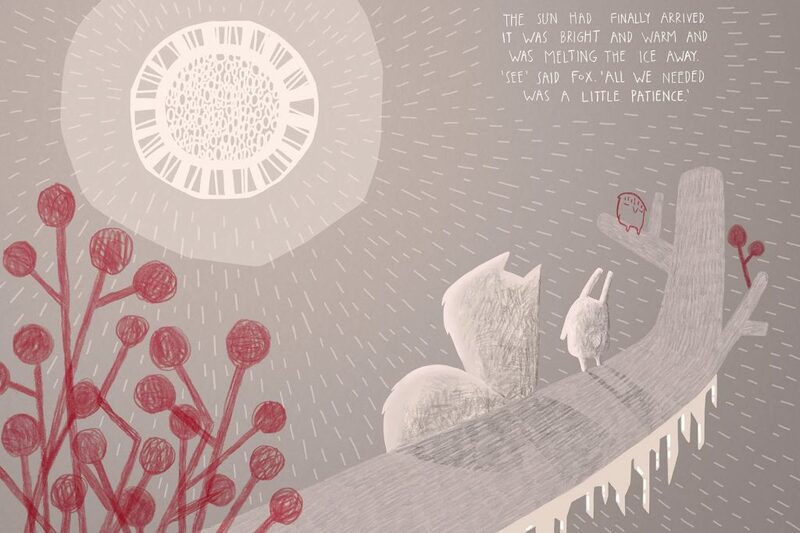 She is mentored by Debi Gliori, a multi-award winning illustrator who who has mentored with us previously. Most recently, the book Always and Forever, written with Alan Durant, was shortlisted for the Kate Greenaway Medal in 2003, whilst Where, Oh Where, is Baby Bear? was shortlisted for the Sainsbury’s Baby Book Award in 2001. Our mentees represent a wide range of career stages and skills, and we are confident that they will do well in creating their first (in some cases second!) picture book. We wish them all the best of luck.